When attempting to grow your business and sales through customer loyalty, do you look toward further account penetration with your best customers or your top 20% of performers? Maybe your share of wallet with this group isn’t as high as you think it could be. Maybe you believe a targeted campaign to them could yield better results. You begin to think of ways to further engage these customers beyond your regularly occurring group incentive travel program. However, I’d like to offer you an alternate solution to help you grow your sales: your Next 20%. In the economics theory commonly known as the Pareto Principle, it is understood that the top 20% of performers contribute 80% of the revenue, profit, peas, you name it. Contrarily, the other 80% of those performers only produce 20% of results. This disparity is staggering and, we’ve found, can sometimes be closer to 15/85 or even 10/90. So, rather than squeezing all you can out of those top customers, I’d like to suggest a targeted campaign toward your lower 80% to create your Next 20%. Who Are the Next 20%? The reality for many businesses is that their customer behavior lays out much like a bell curve, where the top 20% is made up of the best customers, the middle 60% is made up of a wide variety of purchasers, and the bottom 20% is made up of those one-time buyers. So, based on this reality, your Next 20% is made up of that first 20% chunk of the middle 60%. Confused? Let’s look at another graph for help. The middle 60% has a large potential for account penetration and sales growth. These customers are the ones that, through a little clever engagement and marketing, will begin to shell out more of their share of wallet to you. This group has such a substantial potential because of the sheer size of the middle 60%. A mere 5% performance bump from this group can yield over 70% more revenue than a similar incremental gain from the top 20%. Now, it’s safe to say that you won’t convert everyone in your middle 60% into top-level customers. However, creating a penetration strategy that actively targets your small- to mid-sized customers can help create that high-performing Next 20%. There are two main strategies to consider for creating your Next 20%: a marketing strategy and a motivation strategy. Often times, the simple act of engaging with your audience via marketing can be enough to see a boost in sales. Increased awareness and visibility of products is never a bad thing. 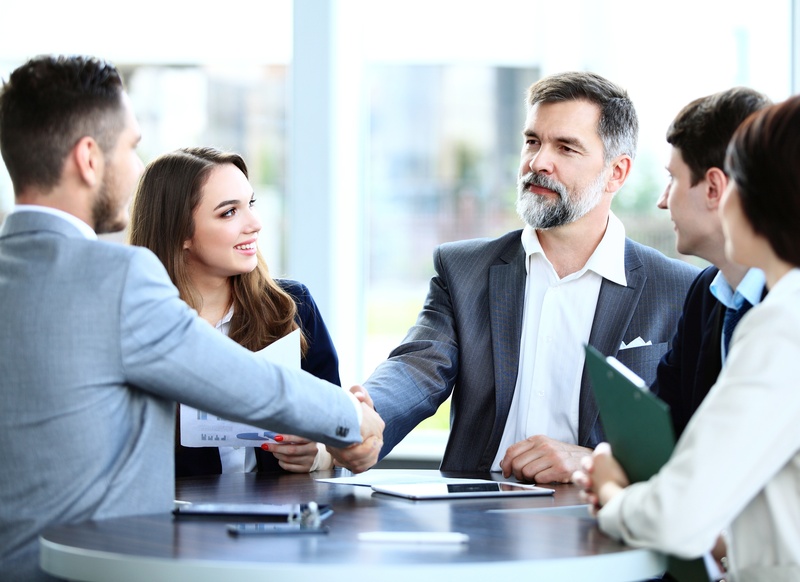 While you most likely already have steady in-person conversations with your top customers using your account executives, you may not have the resources or personnel to maintain that kind of relationship with potentially double (and potentially more) the number of customers. Instead, take a look at your sales data. With enough time and research, you can start to pinpoint target accounts that have the greatest potential of growing their purchases with you. Then, focus your efforts on some well-placed and well-personalized print, digital, or automated marketing, and you have yourself the makings of a serious middle 60% campaign. These tactics will make this audience much more aware of promotions, product launches, and any other deals you have available. The best small- to mid-sized customer strategies don’t stop there; often they will include some sort of motivation factor that’s built in as well. Other than just a product and service, what kind of added value do you provide your customers with? What differentiating factor plays into the decision-making process for your buyers? Whether it’s an incentive like merchandise or cash, or being their go-to source for all things in your industry, make sure your buying experience makes all the difference for you in your Next 20%. Together, these two strategies can have a strong and lasting impact when it comes to generating revenue from those small- to mid-sized customers and can help you get you that much needed “unfair share” of your buyers’ wallets. 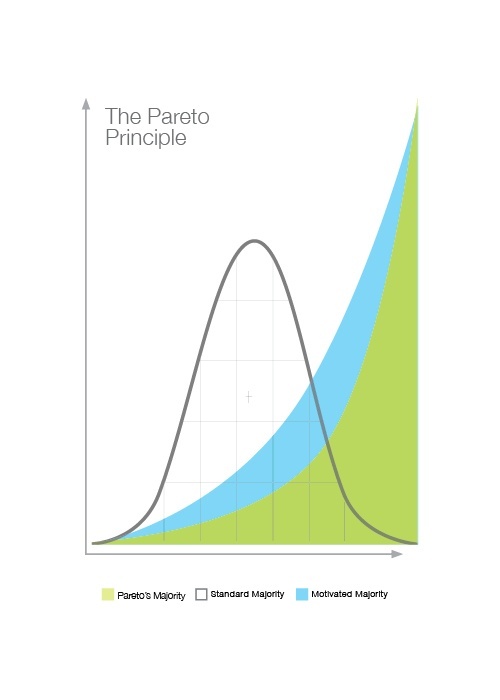 You can smash your Pareto Principle bell curve by going after your middle 60% customers and thereby creating your Next 20%. With the highest potential for growth in the bunch, your efforts, if orchestrated correctly, can have a tremendous effect on your sales and revenue growth. If you’re looking for more information on this topic, take a look at our Smash Your Pareto Principle eBook. In this eBook, we take a deep dive into who the middle 60% of customers are and how you can more effectively target them. For any other questions, reach out to us at marketing@hmiaward.com or 888.220.4780.